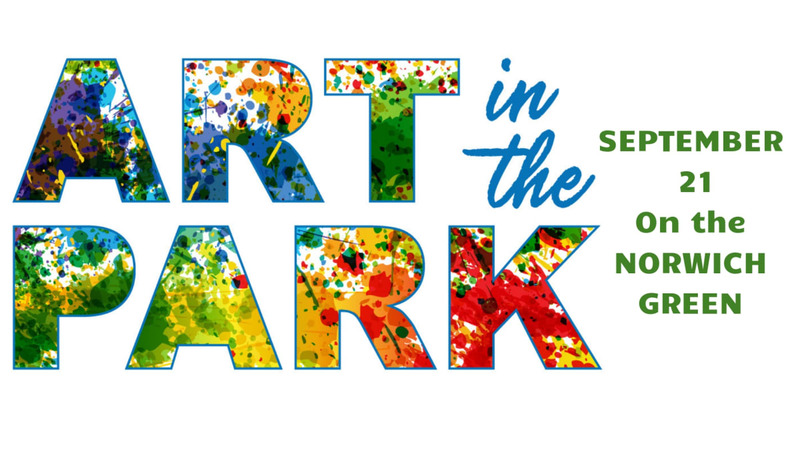 The Norwich Green will host the first second ART in the PARK, an arts festival featuring fine art and crafts, performances, children’s activities and specialty foods on Saturday, September 21, 2019 from 10 AM to 4 PM. The art festival will pair with the Norwich Lion's Club Family Day Parade & Picnic. The Norwich Green will become an outdoor art gallery with many artists and local arts organizations displaying their fine art and handmade crafts. Demonstrations will be taking place and kids will have opportunities to participate in various artistic activities as well. The Bandstand on the Green will have performances all throughout the day ranging from music to dance to theater.